Synopsis: Lovescapes introduces the reader to the various meanings and manifestations of love and its many cognates such as compassion, caring, altruism, empathy, and forgiveness. It addresses how love and compassion have been understood in history and the religions of the world. It goes on to explore the ways that our environments and heredity influence our capacity to love and suggests ways to cultivate love and compassion in one's life. The book shows how the values of love and compassion are integral to finding humane solutions to the daunting problems we face as individuals, as a human family, and as an earth community--a world in crisis. Lovescapes has the following features: - Describing how love is the essence of the divine, and therefore the ground of reality - Understanding the meaning of love and its place in our lives - Learning how love and compassion have been understood across history, culture, and tradition - Gaining insight about how to increase our capacity to love and show compassion - Discerning how love and compassion can be applied in all aspects of our lives, in the regions where we live, and in our global setting. Endorsement: "What is love and how do we distinguish it from infatuation and destructive feelings? 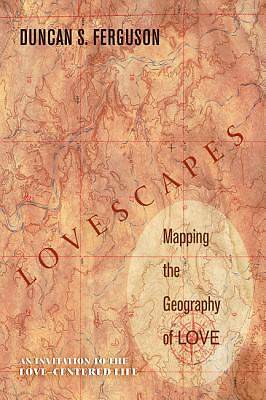 Now, in Lovescapes, Duncan Ferguson explores the cultural and historical understandings of love, inviting readers to invest in 'the love-centered life.' Perceiving that 'love and compassion are very complex human experiences, ' Ferguson . . . provides us with an extremely important book." --James H. Charlesworth, Director and Editor, Princeton Dead Sea Scrolls Project "Lovescapes not only provides a lucid and comprehensive account of pertinent literature--from biblical, classical, and Western and Eastern sources, to contemporary studies in psychology, social theory, theology, philosophy, and biology--it is also filled with fresh and important insights as to ways love and compassion can inform and transform both interpersonal relations and our responses to the urgent crises facing our national and global communities today." --Richard H. Hiers, Professor of Religion Emeritus and Affiliate Professor of Law Emeritus, University of Florida "Duncan Ferguson is a wise and creative thinker who has gained profound insight into the meaning of being human through a distinguished career of teaching, writing, and travel. In Lovescapes he gives us his most thoughtful reflection on the fundamental issues of life in our day. It moves beyond platitudes and explores love in its global as well as personal dimensions. This book penetrates the heart of the matter." --Mark Valeri, Professor of Church History, Union Presbyterian Seminary "Lovescapes coordinates several frameworks for understanding the contours and complexities of love. Theologically grounded, sensitively interfaith, and broadly humanist, this book provides a hopeful vision for healing on personal, communal, societal, and global levels through the transformative power of love. The call to maturity offered here makes a significant contribution to people of goodwill who work to make the world a better, more human place." --Gordon S. Mikoski, Associate Professor of Christian Education, Princeton Theological Seminary Author Biography: Duncan S. Ferguson has served in the church and higher education as a chaplain, professor, and senior administrator. He received his PhD from the University of Edinburgh and has published several articles and five books, including Exploring the Spirituality of the World Religions. He was a Visiting Scholar at Princeton Theological Seminary in 2010 during which he worked on Lovescapes. He is currently engaged in several issues related to international peace and justice.